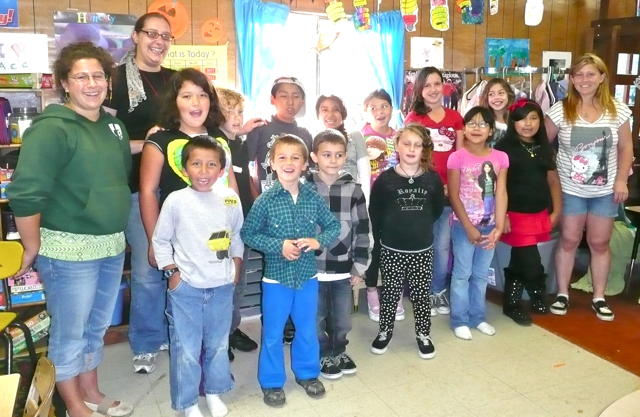 ARCATA – Arcata Rooney McKinleyville Children’s Center (ARMCC) closed its school-age program on Jan. 31. The school-age program provided after-school, vacation and summer care to children in Arcata. ARMCC is an Arcata-based non-profit that has been providing preschool and school-age care for low-income and full-pay families for more than 30 years. The after-school program opened as an extension of the Arcata Children’s Center preschool program in 1978. Between 1978 and 1989, Arcata School-Age program operated programs at all three Arcata Elementary School District schools. In 1989, after a collaboration with the City of Arcata and the AESD, the Arcata Children’s Center School-Age Program moved to portable classrooms on the Bloomfield property. Most of the children who attend the school-age program came from Sunset and Bloomfield elementary schools. The program served 60 to 65 children between two classrooms in a typical year. When Bloomfield Elementary closed in 2006, it took a toll on the program. Without a school on-site, students now had to be transported by parents or school buses. Enrollment began to suffer, but was surviving due to the need for subsidized care. Since many of the after-school programs at elementary programs were full pay, Arcata School-Age program was still able to provide a sliding fee scale to low income families although full pay families were also enrolled. As the state economy faltered, ARMCC suffered as state subsidized child care was significantly cut. Cuts meant less money coming in; yet insurance, employee cost and everything else increased. To make things worse, ARMCC was hit hard repeatedly the last few years when the budget was not signed on time. During that time, programs like ARMCC are not given their money from the state, forcing the programs to deplete reserve funds and take out loans to keep the doors open. ARMCC fund-raised, sold assets and applied for grants in an effort to keep their head above water but none have been enough to cover the cuts. Facing a $15,000 deficit, the board voted to close the school-age program in an effort to reduce costs and try to keep the Arcata and McKinleyville pre-school centers open. The closure of the Arcata School-Age program leaves only one low cost afterschool option for Arcata. Arcata Elementary School offers a subsized after school program but during the breaks and summer they are available on a fee basis and families who previously qualified for subsidized care are unlikely to be able to afford the fee. Theresa Johnson, whose grandchild was enrolled in the ARMCC school-age program, is not sure what she is going to do. The fee for the after-school program at Pacific Union is more than she can afford. Her only option right now is to cut back her work hours and hope to get a voucher through Changing Tides that will help her pay for after-school care. There are few other child care centers that offer subsidized or sliding fee child care in Arcata. HSU Children’s Center, which gets additional funding from the university and is also only available to HSU students, staff or faculty. North Coast Children’s Services has additional funding from federal Head Start. Even with the support of these other sources, HSU Children’s Center and North Coast Children’s Services are suffering and have been forced to make drastic cuts to their programs. Children of the Redwoods, which is the only other state subsized program in Arcata other than ARMCC and HSU (which is only for HSU-associated people) had to cut its program to a half-day during the school year only due to state budget cuts. So it is not a viable child care option for most working families. ARMCC, which is a small nonprofit without an anchor to a larger funding source is facing desperate times. Yet the need for child care is still there. The Arcata Children’s Center is almost fully enrolled but the proposed cuts to child care are devastating. These cuts to child care, as they are proposed, will destroy subsidized child care in Humboldt county. Child care is an essential infrastructure allowing parents to be part of the workforce. A loss of subsidized child care would not break but sever the backbone of our community. Local nonprofit child care needs support just as much as our local businesses. Of course they need money but more than that, they need their community. Board members, grant writers, and fundraisers are always needed. Purchasing raffle tickets or supporting their fundraising brings in money these programs need and helps keep the doors open. Jessica Callahan serves on the board of ARMCC and on the Local Child Care Planning Council, though this piece reflects her personal views. • Join Parent Voices or a local advocacy group and make your voice heard. • VOTE – keep aware of elections of local Boards of Supervisors, state Senate and Assemblymember, as well as federal officials. Find out if they support family-friendly policies and vote accordingly. This entry was posted on Thursday, February 2nd, 2012 at 10:10 am	and is filed under Opinion, Community. You can follow any responses to this entry through the RSS 2.0 feed.